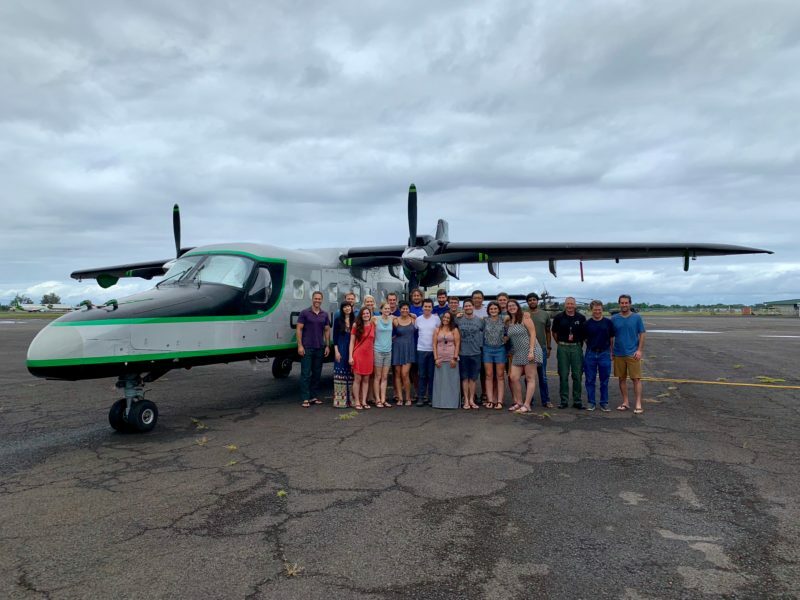 The Arizona State University (ASU) Centre for Global Discovery and Conservation Science is using a modified Dornier 228 turboprop aircraft to map and study ecological systems for governments and non-profit organisations. The director of the centre, Greg Asner, tells Smart Aviation APAC he has a 30-strong team that includes pilots, aircraft technicians, engineers, instrument specialists and data scientists. Asner in January moved his team and Dornier aircraft over to ASU after being with the Carnegie Institution for Science for many years. Asner’s Dornier 228 flying observatory aircraft has been used for mapping missions across the world. In the Asia-Pacific, the aircraft flew one in Borneo where it monitored and collected data on rainforest ecosystems and also studied the island’s palm oil plantations, he adds. The ASU’s Dornier 228 carries an instrument package called the Airborne Taxonomic Mapping System (AToMS). AToMS integrates various high fidelity imaging spectrometers, laser scanners and high resolution cameras to provide 3D spectral and chemical images of ecological systems. The data can be used to help protect natural habitats, Asner says. For instance, AtoMs can spot methane and mercury emissions, thus allowing authorities to locate illegal mining operations obscured by forest canopy, he adds. The team conducted one such project in Brazil. Asner’s work on the Dornier 228 has also produced some surprising scientific discoveries. In 2016, his team discovered the world’s tallest tropical tree, a 94.1m Yellow Meranti, while mapping carbon stocks and biodiversity in East Malaysia’s Sabah province. They also discovered 49 other trees that were taller than 90m using the Dornier 228’s laser scanners, he says. When asked why the ASU uses a short takeoff and landing (STOL) aircraft instead of an unmanned aerial vehicle (UAV), Asner says the aircraft’s equipment payload and range is much greater. A manned aircraft also gives the team greater flexibility as to which airspace it can legally fly in, he says. 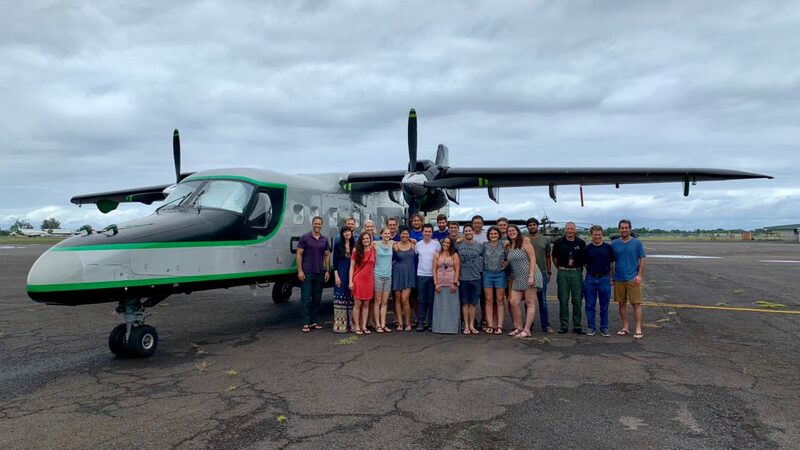 The economics of flying that much equipment, at the correct speed and altitude, are unbeatable with the Dornier 228, Asner adds. While Asner has yet to embrace UAVs, he is a proponent of earth observation satellites. He says there is some imaging work that can be done using satellites but there will always be a role for the Dornier 228 observatory because it can do 3D chemical and spectral imaging, he adds. Asner says the team already uses earth observation satellites to spot changes in the earth’s surface such as deforestation. The Dornier 228 then goes to the specific location identified by the satellite to study the biological impact, says Asner. One project Asner and his team may be working on in the future is a detailed examination of the impact climate change is having on Australia’s Great Barrier Reef, the world’s largest coral reef system. He says they are speaking to Australia’s Commonwealth Scientific and Industrial Research Organisation about this project, which will give the authorities the data they need to better manage the reef. 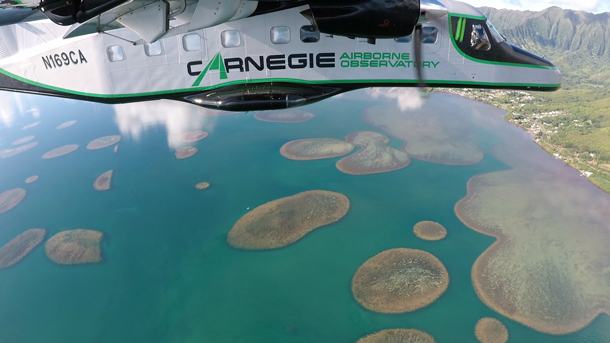 The Asner Lab programme was previously called the Carnegie Airborne Observatory, under the Carnegie Institution for Science. Leithen is based in Singapore and has over 17 years’ experience working for news organisations. He is the former deputy Asia editor of Flightglobal and the former Asia editor of Aviation Week. Leithen has a BA in journalism from RMIT University in Melbourne, Australia. Is Garuda’s Singapore-Silangit Service Sustainable?